Happy 2017! It’s a new year, which means it is time for a new you! At the beginning of the year, millions of people choose to use this opportunity for a fresh start by choosing a New Year’s resolution. Some people might be trying to lose weight, save money, or pursue their dreams. While these are all admirable goals, there is more to think about than yourself this time of year; you will also want to consider whether or not your home needs improving itself. Your home is where you spend the majority of your time and acts as a haven for you at the end of the day. This January, when you are trying to figure out in what ways you can better yourself, also determine how you can better your home. In this blog, we will go over some resolutions you can make for your home. A common New Year’s resolution is to become a healthier person. However, this is a great goal not only for yourself, but for your home. At this time of year, the common cold and flu are everywhere, and if you aren’t careful, you could be subjecting yourself to bacteria and aggravating any current illness with poor air quality. Fortunately, at Lamco Systems, we offer home ventilation system installation! With a whole-house ventilation system, you can rest assured that you and your family can breathe easier and are getting filtered, conditioned outdoor air into your home. 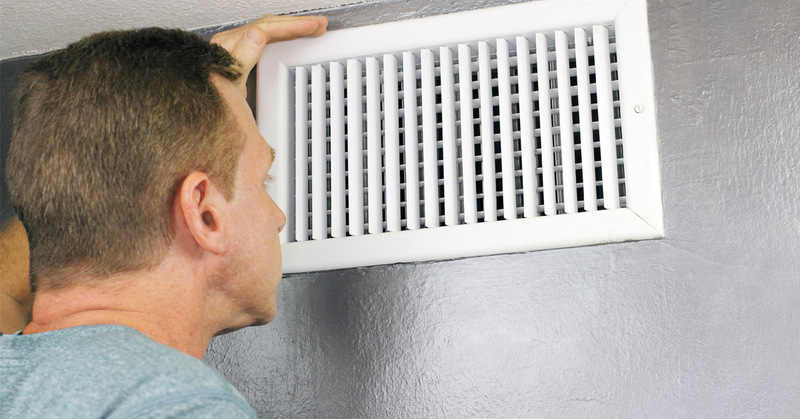 Improve your house this year and breathe healthier with the addition of a ventilation system. Smart thermostats are becoming increasingly more popular, and it isn’t hard to understand why. Not only are these thermostats especially designed to easily adapt to the temperature outside, maximizing your comfort indoors, you can save quite a bit on energy bills with a smart thermostat. While installing a smart thermostat will cost you upfront, what you save on energy bills alone will pay for it. If you need a smart thermostat installed in your home in Boston, call Lamco Systems. If you want to have more money in 2017, your home is a great place to explore room for growth. As stated above, a smart thermostat can help you towards your goal of saving money because it will save you on energy bills. You can also increase the value of your home by making sure that your HVAC system is up to date and running efficiently. When you have an efficient HVAC system, not only do you save even more money on energy bills, you can also a see a higher return on investment when you do sell your home. Think you can’t afford to get a new system? Think again! At Lamco Systems, we are always offering specials and other deals so you can make the most of our HVAC services. Visit our specials page to learn more about what we’re offering! When you have New Year’s resolutions for your home, we can help. Contact Lamco Systems for HVAC services in Massachusetts!